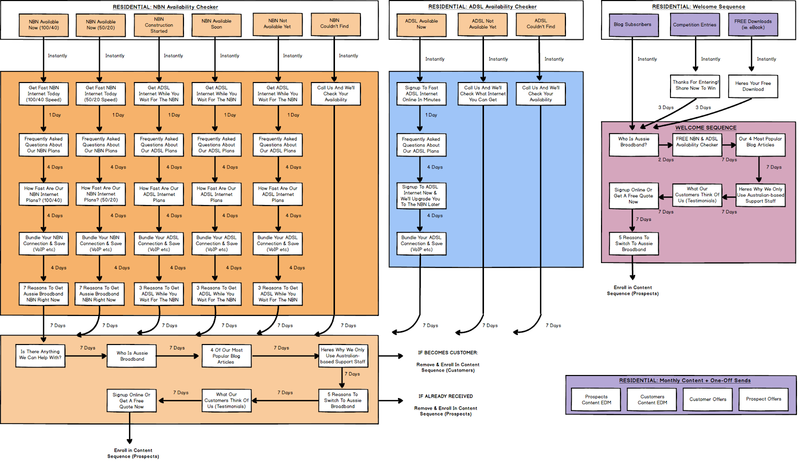 This is a case study of how Aussie Broadband (a small Australian telco provider), working with an outside marketing agency (Web Profits), doubled their recurring revenue from $25m to $50m. They had an obviously good product, and the 12-month growth marketing campaign helped them achieve this target. This is a great, detailed case study of a well thought-out campaign, running for a year throughout many channels. Whatever your product, you should be able to find multiple inspirations to apply in your business. Aussie Broadband is a small telco servicing rural Australia and providing ADSL + Wireless Internet. With over 170 nbn™ providers in Australia and a “land grab” underway from providers looking to grow market share through any means possible, they knew Aussie Broadband had to stand out in front of the right audience at the right time on the right channels. 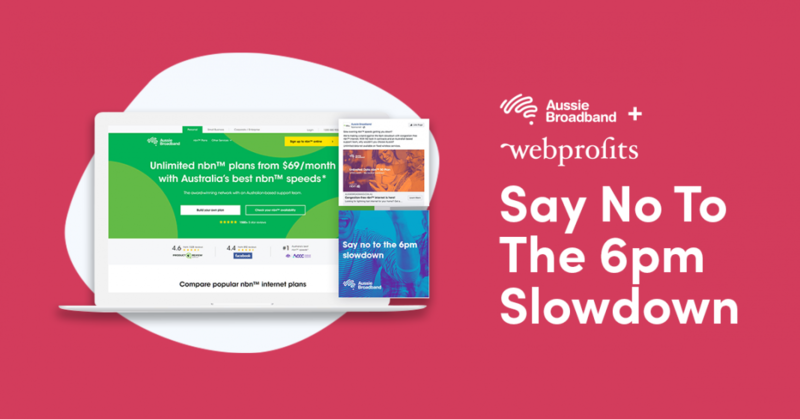 Although faster nbn™ appealed to everyone they had limited advertising budget to work with so decided to narrow down their targeting to those who they thought would be getting most annoyed by these internet slowdowns – tech enthusiasts. 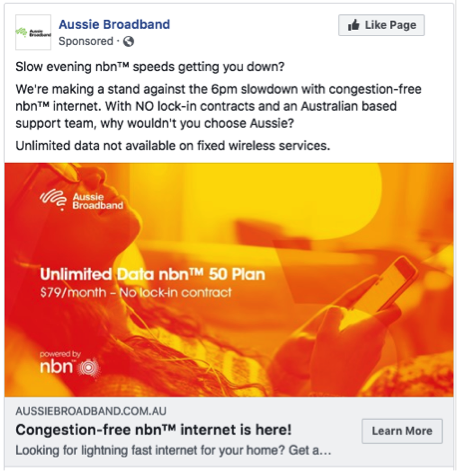 This target market were advanced internet users and gamers who understood the NBN and knew it was possible to get faster speeds than what the big four were offering so they hypothesised that they would immediately see their value and thus their customer acquisition costs would be lower. The strategy they used with this target market was to get them to try out Aussie Broadband’s network as quickly as possible so they could see there was less congestion on the network – at which point they would be hooked. They also needed an offer that could overcome the trust issues these prospects had after getting burned in the past by one, sometimes two past NBN providers. 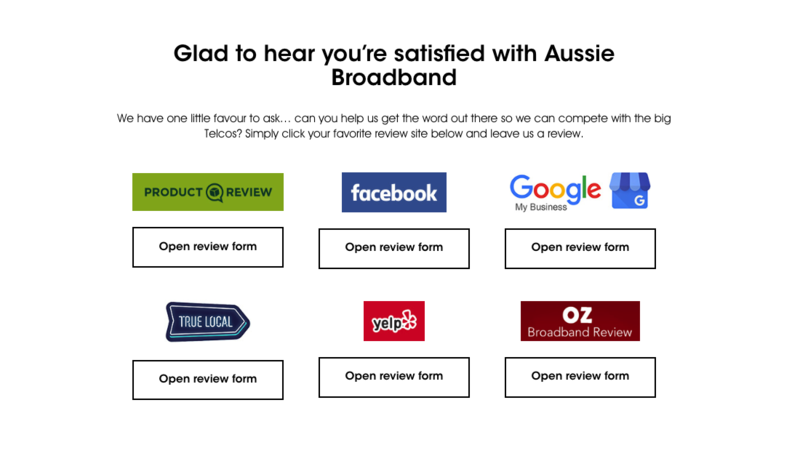 Free Trial: A Free 30-Day Trial where the target market could literally unplug their router and compare Aussie Broadband whilst being with their current provider. 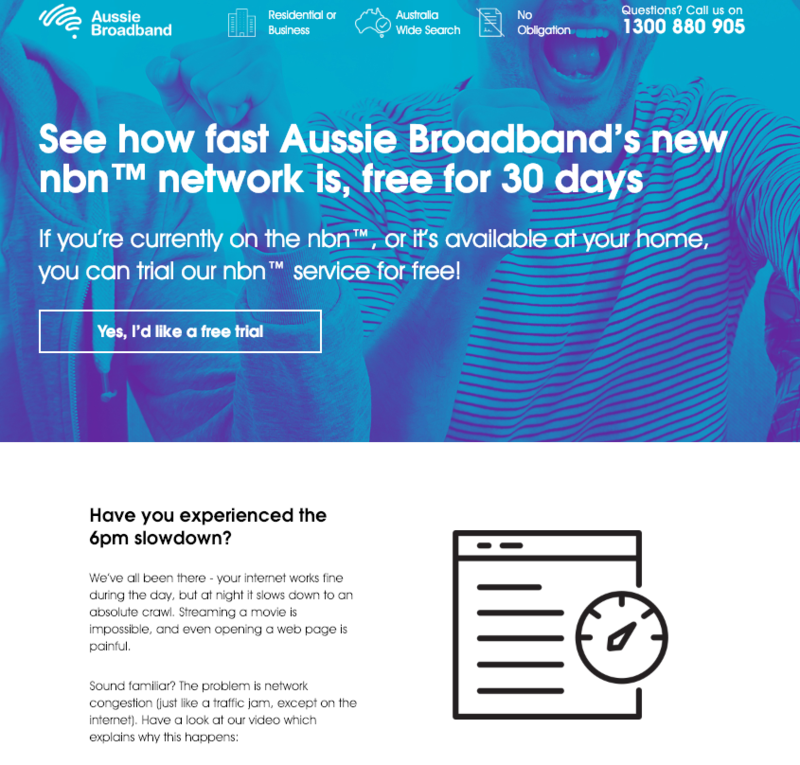 As these prospects had been burned in the past they knew they would be weary of trying a second or third NBN provider so implemented a free, 30-day trial. 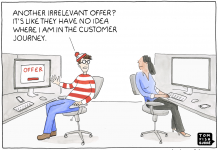 Although it was a complex setup, this target market could handle the tech side of it. With the target market decided and an offer & USPs that they knew would appeal to that market, they then needed to get in front of those people, convince them and generate sales. They knew that with targets so low they had to get creative and apply a creative campaign overlay as to all of the tactical marketing they did. They decided to get in front of this target market at the exact time they would be facing the worst internet speed and congestion. Using NBN data combined with media reports and complaints they ascertained that this time was at 6pm, once everyone was home from work and turning on Netflix and browsing the internet on multiple devices. To get cut-through with this campaign they made sure the messaging permeated through everything they did both across the website, blog posts, video content and all of their tactical marketing. 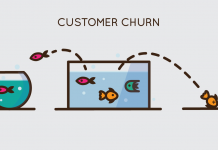 To get this message in front of the right people they rapidly tested channels and tactics – scaling up the ones that worked and learning from the ones that didn’t. 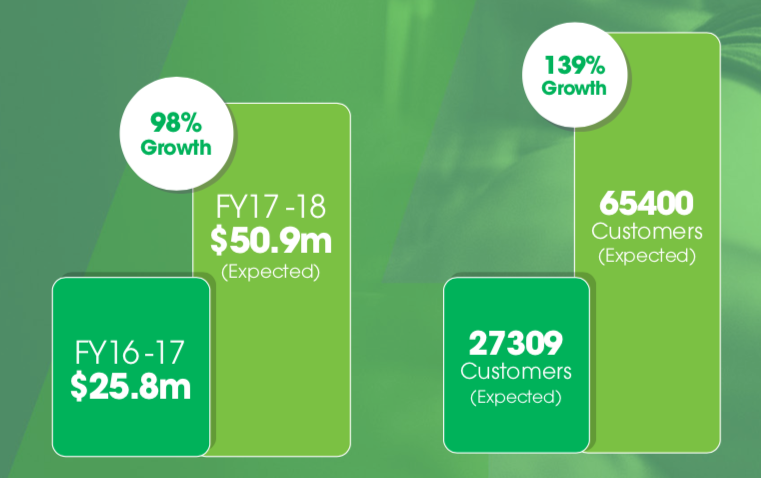 With the budget a fraction the size of Telstra’s $200m annual budget they made sure to focus on low-cost channels combined with automating as much as they could which freed up time for future growth ideas. They tested a huge range of channel and tactics over the year and they’re still testing lots more now. The following outlines some of the most effective tactics. Facebook ads were run from 5-7pm during ‘peak congestion’ times, targeting tech audiences who followed publications like Gizmodo and resided in nbn™-ready areas. They also used creative tactics such as targeting Facebook ads promoting content at specific journalists at publications they wanted to be picked up in. 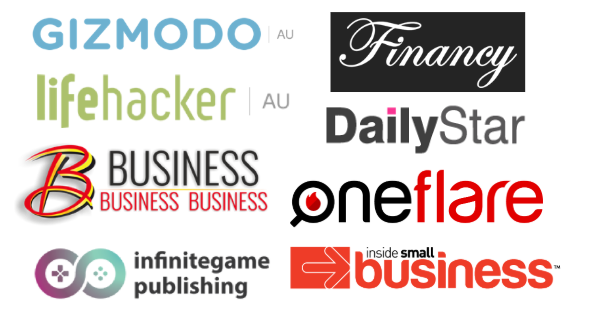 Utilising content to increase organic traffic with blog articles written based on search volume and industry/competitor audits to find top linked/shared content. They also utilised Aussie Broadbands extensive FAQ database and created and optimised hundreds of individual pages which ranked in Google’s Featured Snippets position. 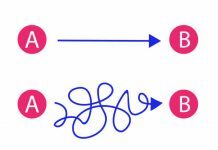 Automated email-sequences that triggered once someone checked availability, attempted to purchase online or downloaded one of their free internet speed guides were copy-written and built. Each sequence was dynamic and aimed to sell the best service depending on the nbn™ speed or availability the user could get. A new website was designed & developed and then constantly reviewed and optimised continually to maximise the conversion rate, through actions such as sales copywriting, performance-focused design, an improved online sign-up process, and an nbn™ availability check tool. In addition, this tool could check both speed and availability, making it a unique offering in the industry. 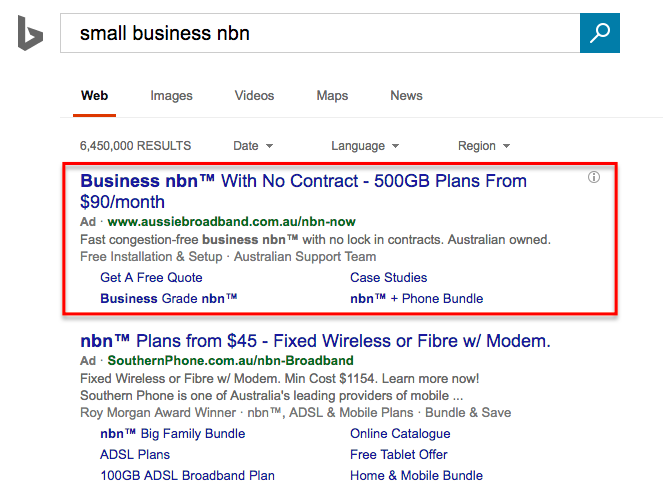 Targeting people specifically within “nbn™ available” areas when searching for nbn™ providers or general information. They also utilised competitor targeted ads and even bid on nbn™ POI id numbers to capture tech-enthusiasts searching for the status of their nbn™ POI. As well as running ads on Google they made sure to target Bing which has lower market share but less competition and thus lower cost per clicks and acquisition costs. With cost per clicks rapidly rising on paid search they also tested a wide range of other paid channels such as comparison sites and found that with lower cost per clicks and more qualification/pre-selling before the click they were able to make a range of these sites profitable. Overall it was a very successful campaign and they’re now trying hard as a combined team to make this year even bigger with a huge range of new growth ideas, tactics and channels currently being tested. With the right team, the right approach, and an iterative process with a lot of testing, you can achieve fabulous results. Be creative, be thorough, be testing. And you should do well.